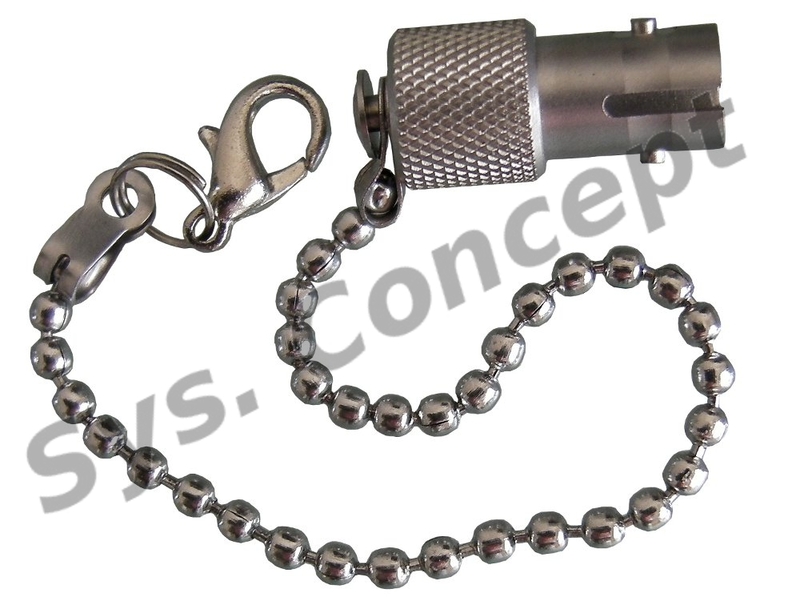 ST Stainless Steel - Connector Dust Cap w/chain 4in long, and cable hook for cable attachment. This dust-cap protects ST connector. It is easy to transfer from one cable to another. Brass Nickel Plated model available.